Although Chuck currently isn't really into painting, he IS into stickers.... which is great because I have a ton of cute circle stickers lying around from our twisty snake craft. Here's how we made our trees! First I cut out a bunch of triangles (from different shades of green) and rectangles (from different shades of brown.) Then, Chuck and I got to sticking circle stickers on them. Then, I taped the tops and bottoms of the trees together. Since the trees were so easy to make, we soon found ourselves with a small army of them. 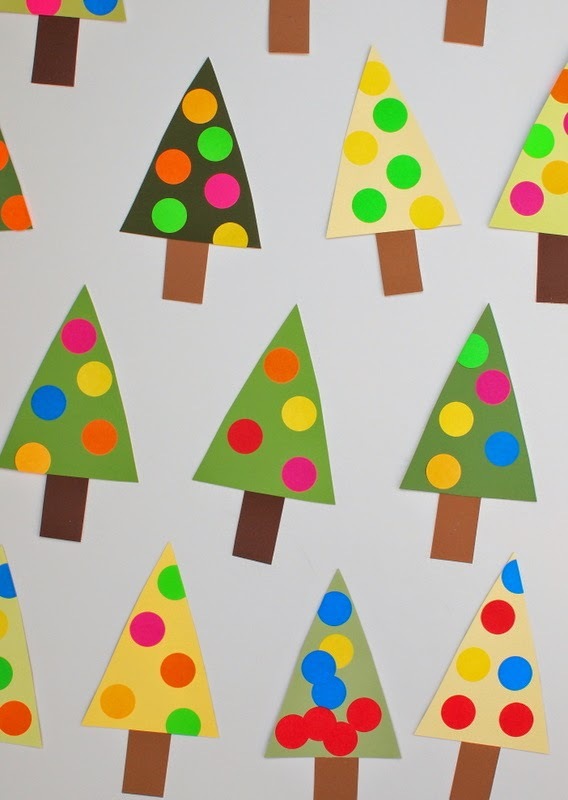 We're going to hang these trees up on the wall with tape. 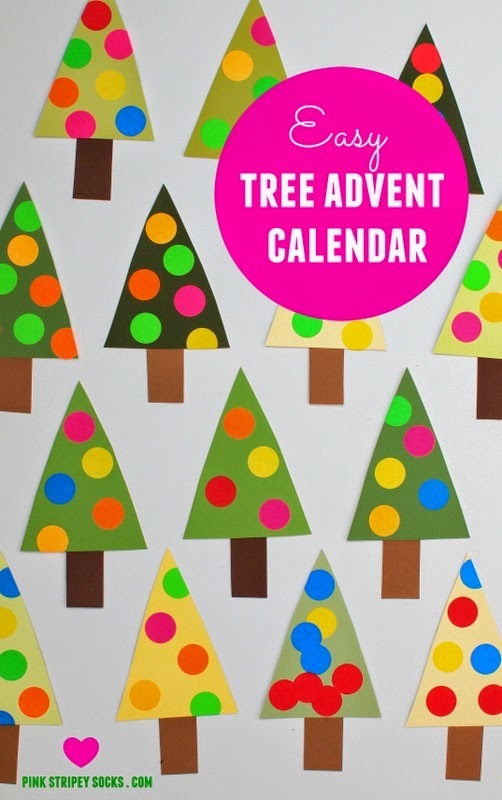 Then each day Chuck can just pull a tree down to reveal a fun activity, craft, or toy. Aren't they beautiful? This was definitely a SUPER EASY and beautiful craft. Hope you have fun trying it out too! 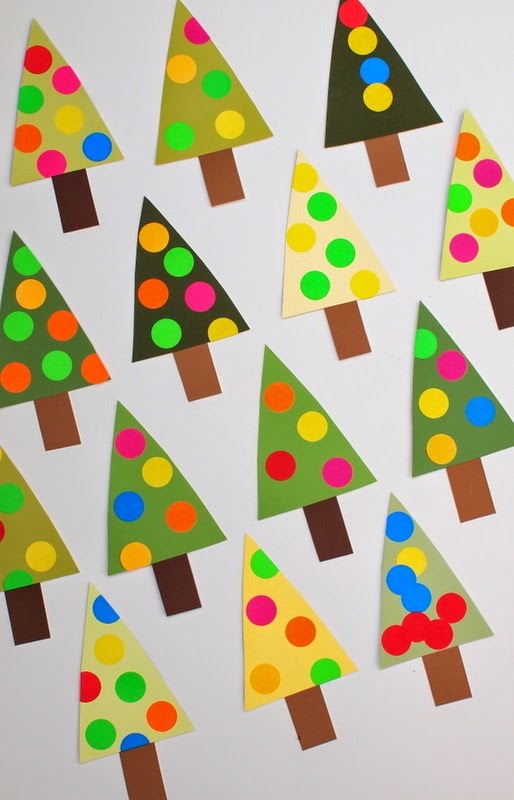 Pssst- Looking for other fun Christmas crafts?